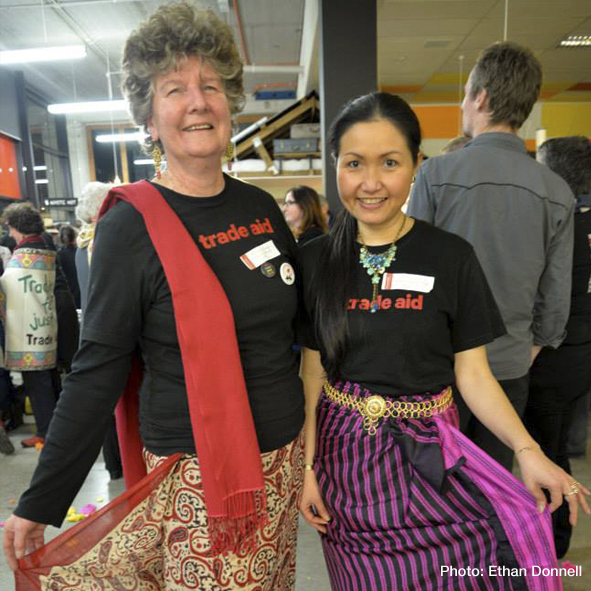 Once upon a time, 40 years ago in fact, long before we had heard of the terms fair trade and social enterprise, a little shop called Trade Aid Wellington, opened it’s doors up two flights of stairs, completely unaware of the global movement they were pioneering. In this interview longtime manager Christian Pilkington talks about what has made this unique business model thrive, some of the people and movements that have unofficially incubated at Trade Aid and the next step we need to take in our purchasing power. I was quite moved and humbled at the Trade Aid Wellington 40th birthday bash when I realized that the founders of this store were pioneering ‘Fair Trade” and “Social Enterprise’ long before these concepts had their names. This entry was posted in Social & Civic by lauriestarfish. Bookmark the permalink.